When I was pregnant with my first daughter back in 2012, I was suddenly very aware of the chemicals around me. I was being exposed to a ton of different chemicals and fragrances, due to my job as a zookeeper and just from the typical household and bath products I had always used. 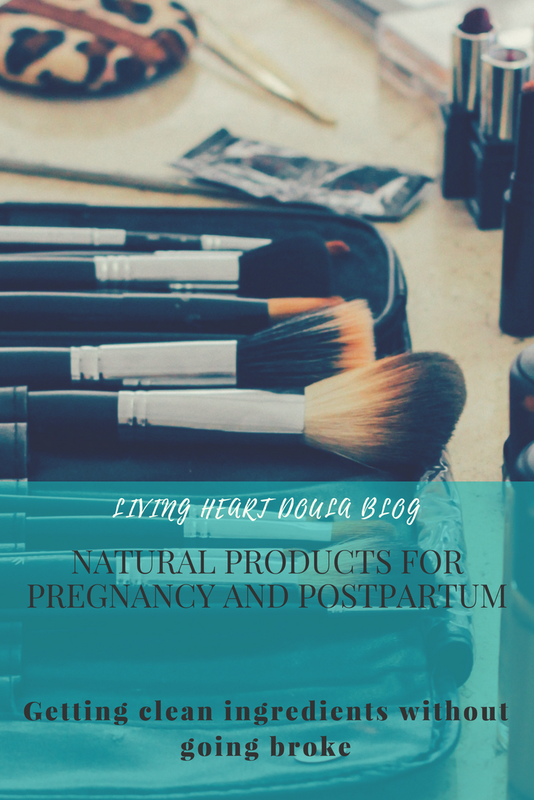 Knowing I was pregnant and that our environment effects our growing baby, had me digging into alternative products. I needed to clean up my home and my own skin products, and I wanted to not kill my wallet in the process. Improving my home cleaning products was pretty simple, and I found a ton of help on Pinterest. I've found vinegar and baking soda can clean just about everything that a whole host of grocery store cleaners can, at a fraction of the cost. The challenge came to my own skin care and beauty products. What would work well? What will help my pregnant skin? What will keep working with changes in hormones from breastfeeding? I've compiled my favorite clean brands and their best products that I've discovered over the years. These companies have clean ingredients and can carry on into your routine through the years. For a growing mama belly, the Be Enriched Moisturizer is very nourishing, and is great for stretch marks and dry skin. While I was pregnant with my second daughter in 2015, I discovered this body butter while browsing at the mall. With only a few preservatives to keep it from spoiling, its 98% organic and smells amazing with scents of Orange Blossom and Honey Coconut. It was perfect to slather on my belly and tired feet. Jars can range from $10-$15 depending on the retailer. From chapstick to sunscreen, Burt's Bees is probably the easiest to grab at a local grocery store with toddler in tow. Their products skip parafins and phthalates, and can be used by everyone in the family. A chapstick will set you back only $3, and the Mama Bee Pamper Set runs at $25. Run to your local Target, or you can shop here: burtsbees.com. One of my favorite companies, Earth Mama Organics recently underwent a branding change (you'll probably remember them as Earth Mama Angel Baby) . You can still find your favorite products; they'll have a new label and a simplified name. Everything is non-gmo verified, toxin-free, and they focus on helping mom's and babies feel their best. Since Earth Mama Organics such an awesome company, here is a 20% off discount on any regular order until June 30! Just enter code LivingHeartDoula at check out. What's your favorite natural product? Share with us in the comments!